Mount number 24, Image number 175. David Octavius Hill (1802–1870), painter and photographer, was born on 20 May 1802 in Perth, Scotland, the eighth child (hence Octavius) of Thomas Hill, bookseller, and Emelia or Emily Murray. He was educated at Perth Academy. While still a teenager Hill applied the new technique of lithography to producing Thirty Sketches of Scenery in Perthshire, Drawn from Nature and on Stone, which was issued in six parts between 1821 and 1823 by his father Thomas Hill, a publisher and printseller in Perth. He went to study in Edinburgh at the Trustees' Academy School of Design under Andrew Wilson, a landscape painter and well-known art connoisseur. Although Hill inserted into his works depictions illustrating the manners of the Scottish peasantry, it was the subtle strength of his landscape paintings on which he rapidly built his reputation. These landscapes were admirably suited to engraving, the early nineteenth century's most influential development in the distribution of images, and many of his paintings are best-known through the engravings made from them; he had more works engraved than any other Scottish artist. Hill's great early achievement was his series of views in 1840 that were made into steel-engravings entitled The Land of Burns. This project was the most ambitious and expensive Scottish publication up to that time and firmly established his reputation. His painting style was delicate rather than vigorous, but exploitation of light and shade gave many of his works unexpected force. He was particularly fond of the light at sunset. An extensive assessment of his career appeared in the Art Journal for 1869, which asserted that: he is not to be classed with the school of the naturalists, applying the term to those artists who are satisfied to represent Nature as they see her, but with that of the poetists, treating his subjects in a manner that gives additional charms to whatever they may in themselves possess. Hill was a man of tremendous good cheer and bonhomie, which served him well throughout his life. The Edinburgh Evening Courant (18 May 1870) recalled that ‘in personal appearance he was remarkable for his striking, classical, and manly features’. Andrew Wilson had introduced him to the artistic community, in which Hill became a jovial and central figure. He joined the Association for the Promotion of Fine Arts in 1826, but was one of several artists who withdrew in a controversy. In 1829 he was a founder member of the Society of Artists, and became its secretary in the following year; from 1836 this was a paid position. In 1838 the society became the Royal Scottish Academy of Fine Arts, of which he remained secretary for the rest of his life. He undoubtedly played a part in the academy's decision to commemorate the royal charter by opening its exhibition on 10 February 1840, the day the young Queen Victoria married. On 9 August 1837 Hill married Ann McDonald (bap. 1804, d. 1841), the musically inclined daughter of a wine merchant in Perth. Their brief life together was one active in the society of the artistic community of Edinburgh. A daughter, Charlotte, was born in 1839, but a second daughter, born in 1840, lived only a few hours. Much weakened, Ann died on 5 October 1841 and Hill and his daughter went to live with his widowed sister, Mary Watson. Photographic pioneer: partnership with Robert Adamson. The year 1839 had seen the public announcement of the invention of photography, an art that soon brought together D. O. Hill and Robert Adamson (1821–1848), changing both their lives irrevocably. Adamson was born on 26 April 1821, the son of Alexander Adamson, a tenant farmer at Burnside (5 miles east of St Andrews), and his wife, Rachael Melville. He was educated at Madras School, St Andrews, where he twice took the prize for mathematics. Adamson displayed an unusual talent for mechanics, working for an engineering shop in his youth, but his fragile health prohibited this calling. His older brother, Dr John Adamson (1809–1870), practised medicine in St Andrews and associated with Sir David Brewster (1761–1868), the principal of the United Colleges of St Leonard and St Salvator, along with other members of the St Andrews Literary and Philosophical Society. Brewster also enjoyed an unusually close scientific friendship with William Henry Fox Talbot (1800–1877) of Lacock Abbey. 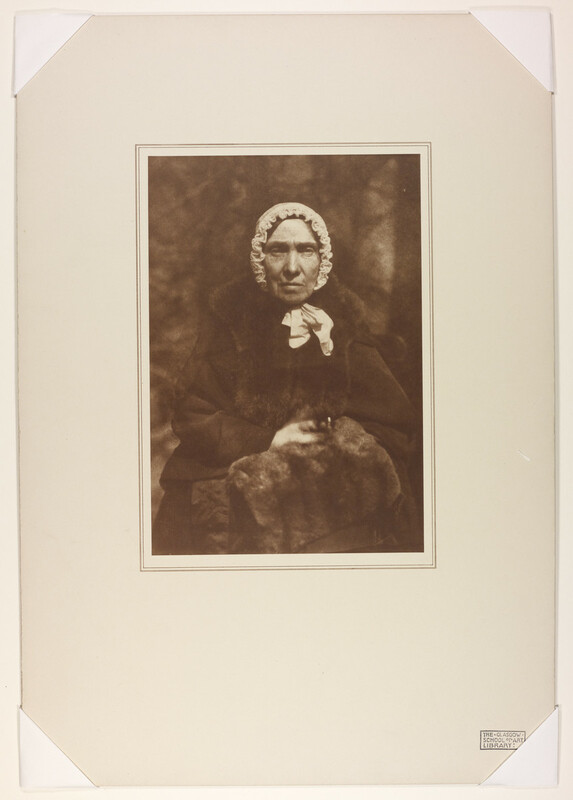 When Talbot announced his invention of photography on paper in January 1839, Brewster took an immediate enthusiastic interest and became the conduit into Scotland for information on the new art. Dr Adamson was one of the leading figures in this fledgeling photographic circle and encouraged his younger brother in taking up the calotype. By summer 1842 Brewster had reported to Talbot that the young man was becoming well drilled in the art, and on 10 May 1843 Robert Adamson established Scotland's first calotype studio, in the small eighteenth-century Rock House, on the steps of Calton Hill in Edinburgh. Within days after Adamson opened his studio, on 19 May 1843, there took place in Edinburgh the Disruption of the Church of Scotland, perhaps the most significant event in nineteenth-century Scottish history. Acting on deeply held principles about control of their own parishes, a substantial proportion of the ministers of the Church of Scotland took the courageous act of signing the deed of demission, separating themselves from their livings and laying the foundations for the Free Church of Scotland. Dr Thomas Chalmers (1780–1847) presided as the first moderator of the Free Church assembly. Hill's brother-in-law, the Revd Robert MacDonald (1813–1893), one of the most fiery of the Free Church's early members, became largely responsible for their school building programme. Hill, moved by this momentous occasion, announced his intention of painting a monumental portrait of the nearly 500 ministers and lay people involved in the signing, to be engraved and published by his brother. Perhaps Hill had been inspired by the recent showing of George Hayter's The Great Reform Bill, 1832, a composite of 400 portraits of members of parliament painted from life. Hill's project presented immediate problems. By temperament and training a landscape painter, he had painted only one significant portrait before this. Knowing that the participants would soon scatter to all corners of Scotland, Sir David Brewster suggested Robert Adamson's new art as a means of recording their features. Within a very short period Hill's artistic direction and Adamson's manipulatory skills merged into a partnership unlike any in the early history of photography. Even with the help of specially devised cameras, lenses, and other devices made by the ingenious Thomas Davidson of Edinburgh, the exposure times of the calotype negative forced them to move furniture and trappings out into the garden in order to take advantage of the sunlight. Mirrors and reflectors helped to direct and concentrate the light. Hill's warm and commanding personality put the sitters at ease even while locking their bodies and expressions into a form that the camera could record. Robert Adamson had mastered the intricacies of the new art, refining it in a way that led to artistically pleasing prints. When their first efforts were exhibited at the Royal Scottish Academy of Arts in 1844, they were titled as ‘executed by R. Adamson under the artistic direction of D. O. Hill’. Their calotype portraits, at first seen as convenient studies for a grand painting, emerged with a power and truthfulness of their own. Their reputation grew as rapidly as the diversity of their subject matter. Hill's extensive social contacts came into play, and their subsequent portraits recorded the society of Edinburgh and many of its famous visitors. They took their cameras to the Free Church assembly in Glasgow and to the British Association for the Advancement of Science meeting in York. The architecture of Linlithgow, Durham, York, and Edinburgh expanded their subject matter, and their panoramas of Edinburgh provide a detailed record of the city at that time. Several of these landscape views provided direct inspiration for Hill's paintings. One of their most ambitious and penetrating projects was to document the fishermen and women, principally of the village of Newhaven. Within this picturesque and self-contained society Hill and Adamson extended the vision of photography to documenting a way of life—including not only its people, but also the boats, nets, and other objects that defined their existence. For Hill this was a return in a more sophisticated fashion to his early interest in recording the manners of the Scottish peasantry. Just as in his paintings, it was poetry and not nature that inspired Hill, and the calotype negatives were often retouched to remove distracting elements or to emphasize important features. In the end, however, they spoke with truth to the spirit of the subject. Within the first four years of their partnership, Hill and Adamson took more than 3000 photographs, many of which remain of undeniable quality to this day. But Robert Adamson's health, the cause of his taking up photography in the first place, continued to fail. Adamson's work dropped off throughout 1847 and on 14 January 1848 his short life came to a tragic end at St Andrews. Hill was devastated, losing not only a close friend, but also the source of his success in the art of photography. He continued to live in Rock House and to distribute their photographs, but could never again achieve the artistic harmony of the works that he had produced with Adamson. He joined the Photographic Society of Scotland in 1858, even though more than a decade had passed since he had been involved in taking a photograph. A brief collaboration with the Glasgow photographer A. M'Glashon in the years 1860–62 was unproductive. The original inspiration for taking up photography, his painting of the signing of the deed of demission, was not completed until 1865, and this grand painting, now in the offices of the Free Church, is little more than a collage of the calotype photographs on which it was founded. Hill's activities as the secretary of the Royal Scottish Academy continued throughout his life and served to maintain his prominence in the artistic community. In 1830 Hill was one of the major forces in the formation of the Art Union of Edinburgh, the first institution of the kind in the nation, and one that was soon copied. In 1850 he was appointed one of the commissioners of the board of manufactures in Scotland, a body then responsible for the Government School of Art and the new National Gallery of Scotland. Hill's only child, Charlotte (Chatty), the wife of W. Scott Dalgleish, died early in 1862. Shortly afterwards, on 18 November 1862, Hill married the sculptor Amelia Robertson Paton [see Hill, Amelia Robertson (1820–1904)], who was the sister of the Pre-Raphaelite artist Sir Noël Paton and the landscape painter Waller Hugh Paton. In addition to his public services, Hill continued to paint and to exhibit. Some of his paintings, particularly Old and New Edinburgh, from the Castle and The Braes of Ballochmyle, were clearly inspired by the photographs he had been involved in taking. In all, Hill exhibited about 300 of his works in his lifetime. About 270 of these were shown in the annual exhibitions of the Royal Scottish Academy. Nearly all were paintings, but he exhibited seven calotypes in 1844 and ten more the following year. His reputation was grounded largely in Edinburgh—he showed only four times at the Royal Academy in London—but this was not as limiting as it might seem. The ‘Athens of the north’ was a powerful intellectual centre in the dual wake of the Scottish Enlightenment and the exhortations of Sir Walter Scott. It was a place where a man such as Hill could influence greatly the course of artistic development. And that he did. Hill's marriage to Amelia was not only happy but productive. It was under her influence that Hill finally completed his Disruption painting. Although she was clearly a Scottish artist, Amelia exhibited eighteen of her sculptures at the Royal Academy in London, helping to extend her husband's reputation as well. Tragically, Hill developed rheumatic fever in 1868. They moved from the cramped but central quarters of Rock House to a more tranquil spot in Edinburgh. There—Newington Lodge, Mayfield Terrace—Hill died on 17 May 1870. Amelia Hill executed a bronze bust for his grave in the Dean cemetery. It is curious that Hill's obituaries nearly universally failed to mention his pioneering photographic work with Robert Adamson. But it is this body of work, much more than his paintings and engravings, that has lived on, inspiring successive generations of photographers and historians. The landscapes and architectural work that they accomplished are valuable records of a Scotland now changed. More significantly, however, they brought to the photograph the expressive power to record the personality of the sitters. In 1843, when Adamson started his studio, those in the know maintained a careful distinction between the daguerreotype and the photograph. Daguerreotypes, those magic little mirrors that were unique images on sheets of polished silver, had immediately taken over the province of the portrait. Photographs, which at the time meant images on paper, had lagged in this application. Perhaps part of this can be ascribed to the temperament of their inventor, William Henry Fox Talbot, for social contact was difficult for him and this shows almost inescapably in his photographs of people. Hill had no such problem and Robert Adamson ensured that the human contact he had made was expressed clearly and forcefully on a sheet of paper. The power and visual nature of Hill's and Adamson's images were likened to those of Rembrandt, and appropriately so, with their moody range of masses of light and shade. Nothing in the early history of the photograph can be compared to their body of work. Although Hill's and Adamson's photographs fell briefly from sight within Hill's lifetime, it was not long before they regained an enduring and well-deserved reputation as beautifully symbolizing the expressive power of a radical new art. The photographer Francis Caird Inglis (1876–1940), who took over Rock House about 1900, found many negatives and prints remaining there. The Glasgow photogravure master Thomas Annan (1828–1887) had made permanent carbon prints of Hill's Disruption painting. His son, J. Craig Annan (1864–1946), had been familiar with Hill's and Adamson's photographs since he was a child, and worked with Inglis to make new prints from the negatives (a practice natural at the time but roundly discouraged today) and permanent prints in carbon. It was through Annan that Alfred Stieglitz (1864–1946) became interested in this pioneering work, introducing it not only to the American public, but also to serious photographers worldwide. A nephew of Hill's, the bookseller Andrew Elliott, had taken over the shop and stock of Hill's brother Alexander. In addition to writing one of the early books on Hill's photographs, he commissioned Jessie Bartram to make sensitive carbon prints from the originals between 1913 and 1925. It was natural that Elliott's book should emphasize the contributions of his uncle and by the time Heinrich Schwarz had published his serious assessment in 1931 Robert Adamson was almost totally forgotten. Later historians have begun to appreciate the essentially symbiotic nature of this unique partnership, however, and it is not unusual to find their work today labelled (perhaps as it always should have been) as being by Adamson and Hill. Certainly there can be no meaningful separation of their individual contributions to their photographic masterpieces. Robert Adamson's command of the process of making prints in silver was as unusual as it was complete, and the original prints have proven to be among the most durable of all early photographs. More than 3000 are in the collection of the Scottish National Portrait Gallery in Edinburgh and many hundreds of other originals grace the collections of museums worldwide. Nearly 1000 of their original paper calotype negatives survive, the largest group at the Glasgow School of Art and most of the others at the Scottish National Portrait Gallery (with smaller deposits at the Harry Ransom Humanities Research Center, University of Texas, and at the Metropolitan Museum of Art, New York). By their very nature, Hill's lithographs and engravings are scattered but survive in numerous locations. His paintings fared less well, though the Perth Museum and Art Gallery, the National Gallery of Scotland, and the Hunterian Gallery in Glasgow each hold several, and numerous others are in collections worldwide. Many were purchased by patrons, and these are still coming to market. In addition to his photographic legacy shared with Robert Adamson, Hill's greatest influence was on the development of the arts in his native Scotland. The obituary in the Art Journal (new ser., 9, 1870) observed that even though Mr. Hill's works may not rank with the highest productions of British artists, even with the best of those of Scotland, he did much to maintain the honour of the school to which he belongs … in the Art-circles of Edinburgh … his loss will undoubtedly be much deplored, and his absence from them deeply regretted. (p. 203) The Edinburgh Evening Courant (18 May 1870) stressed the character that had made it all possible, saying that Hill was ‘very loveable and much beloved’. David Octavius Hill (1802-1870) and Robert Adamson (1821-1848) collaborated to produce some of the greatest photographic portraits of the 19th century. In 1843 Hill was commissioned to paint a large commemorative picture of the founding of the Free Church of Scotland. In order to get an accurate record of the features of the several hundred delegates of the founding convention, Hill decided to make photographic portraits of each of them. He enlisted the collaboration of Robert Adamson, a chemist who for a year had made portraits in calotype, a photographic process by which an image is developed from a paper negative. Hill and Adamson did not restrict their activities to photographing Scotland's elite. They recorded many views of Edinburgh, especially in Greyfriars' churchyard. They also went to small fishing villages, where they did some of their best work. After Adamson's death at the age of 27, Hill returned to painting.